Acorn produced only one commercial laptop during their time, and a couple of prototypes. One of the difficulties of making a laptop is the difficulty of making a case. Acorn borrowed case designs from other Olivetti Group companies. 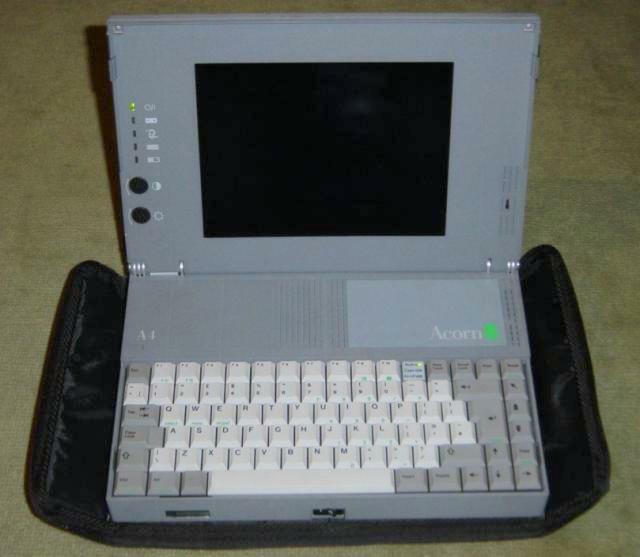 1991, Acorn's only released laptop. The A4 was based on the ARM3 chip and its case was from the Triumph Adler 386 Walkstation. Triumph Adler was a Geman company that had also been bought by Olivetti in 1986. 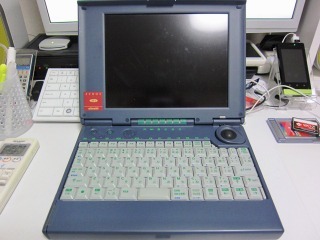 The same case is also used by the Olivetti A12 notebook. 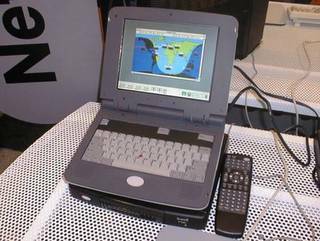 1996, the Stork is a prototype that Acorn made to encourage OEM customers to order large numbers, but this didn't happen. The Stork is essentially an A7000 in a laptop case. It shares the case with Olivetti Echos 20c. 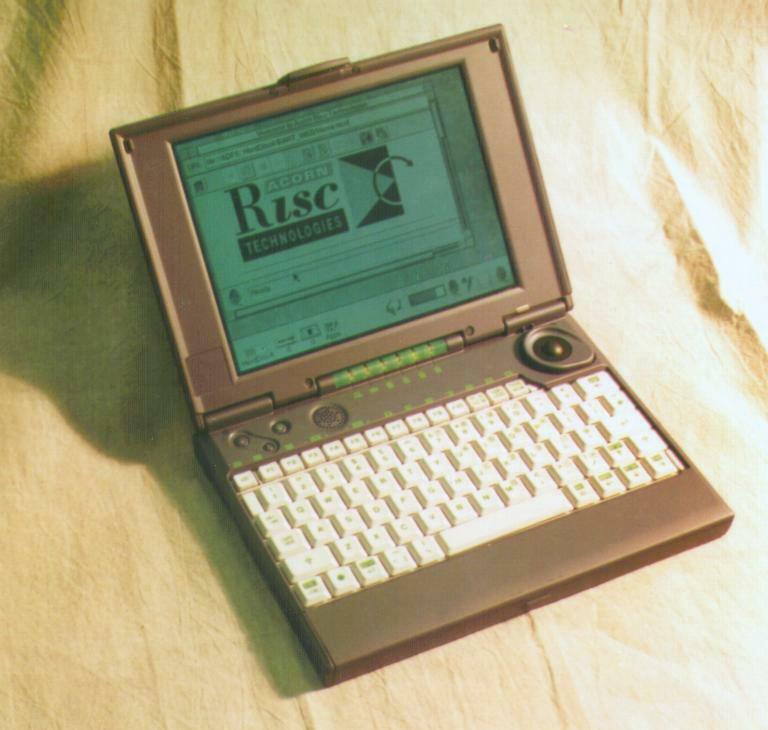 1997, the Gideon is a second prototype that was based on the later A7000+ machine. 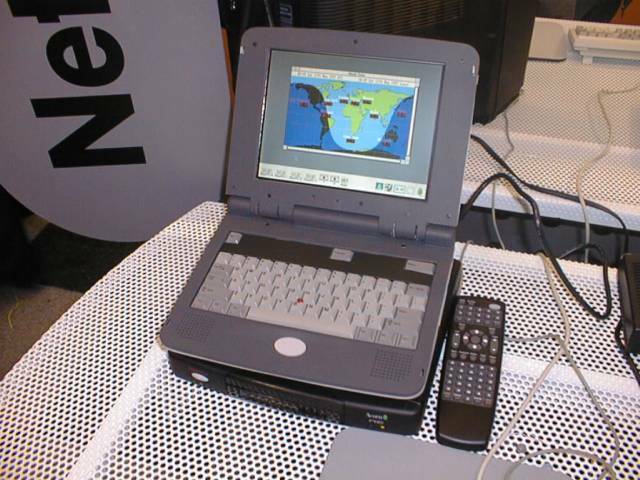 It was demonstrated at the Wakefield 1997 show, but also never entered production. 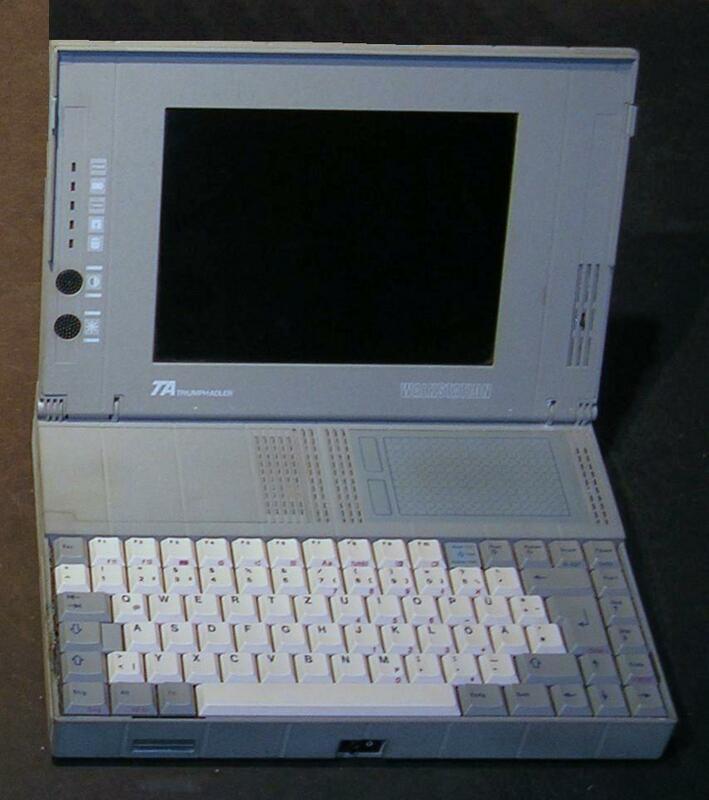 I am still trying to track down the laptop used for this model, if you know please get in contact.